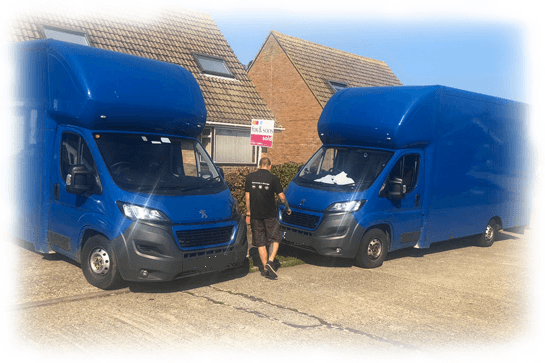 When choosing a removal company, London homeowners need to ask themselves a number of questions to make sure they end up entrusting their valuable and fragile items to a company that will allow the move to go as smoothly as possible. At London Removals Company, we have many years of experience in transporting what is essentially your entire home or office across the capital. Can you take care of all the packing beforehand? At London Removals Company, we can provide all of the necessary packing materials in advance of the big day, or if you prefer, we can simply take care of all of the packings for you. With particularly valuable or large and bulky items, we know exactly how to package these goods with the appropriate protective materials, unlike other removal companies in London who will simply turn up and expect you to be ready to go. When you think about how much time this could potentially save you, it makes perfect sense to let us get everything ready for the move. Not only are we fully insured to get your goods on the road safely, but we also have an expert team of removal staff and drivers who know exactly how to get your items from A to B without there being any nasty surprises. As a family-run business, we are small enough to provide a personal and friendly service, while also being capable of handling domestic and commercial moves of any size. Our customer feedback speaks for itself, and we have a proud track record of leaving all clients satisfied and ready to go in their new place. Can you handle the unpacking? At London Removals Company, our expert service doesn’t end when we have got all of your items through the front door. Once you tell us exactly where everything needs to go, we can take care of the unpacking and also take any packaging and protective materials away with us. This is one less job for you to concern yourself with. To find out more about what sets us apart from other removal companies in London, give us a call on 0203 807 5045. We pride ourselves on using our extensive trade knowledge to give you an accurate quote.